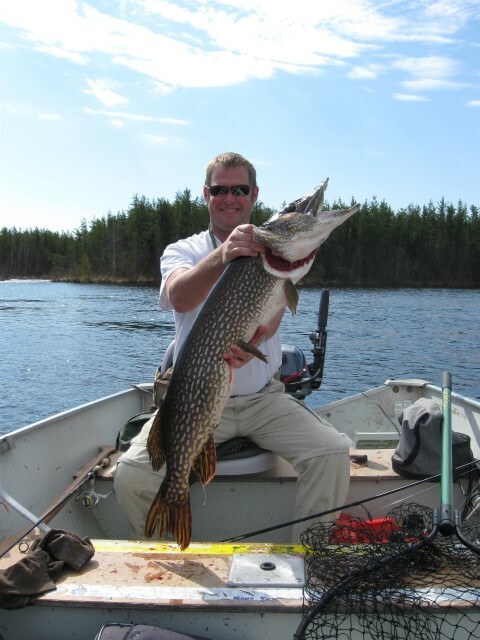 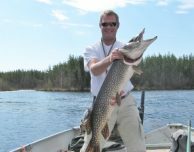 David Bue chose the perfect May weekend to cast for northern pike on Onepine Lake – he brought in six northerns over 40″! 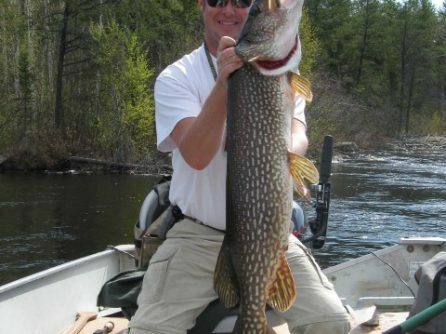 “The largest one was a fat hog that measured 44.5″,” he said. 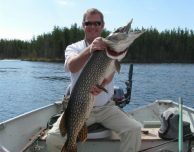 It seems that no trip to Nestor Falls Fly-In Outposts is complete without a trophy walleye. 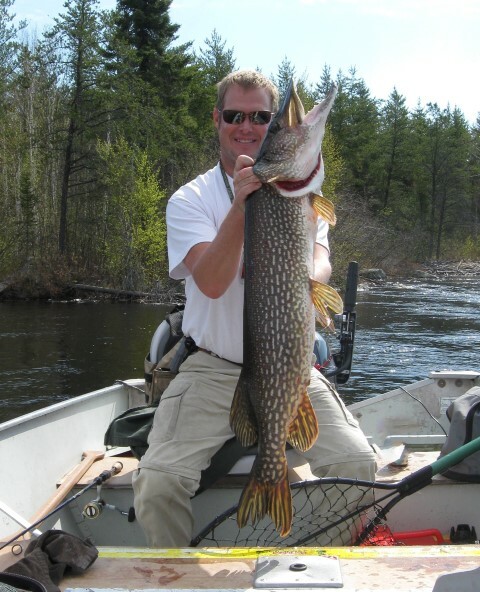 Onepine has the kind of weed beds and rock reefs, that create plenty of serious walleye action for anglers, too. 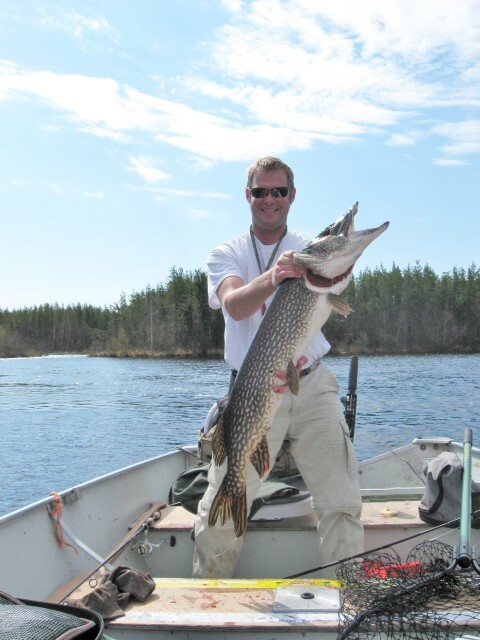 David caught a 10 lb., 30″ inch walleye to make it “another great trip” for him and his group!